We send our graduates out with heartfelt congratulations! We wish the very best for them as they step out into the exciting world of professional massage work! "What a task to really get to know the human body…Alesia made something very daunting and intimidating – very practical, informative and entertaining. Great job! I would absolutely recommend WSMT to prospective students. What can I say? Thank you!!" "Throughout clinic time I became more and more comfortable working with all different types of people. Great experience! I am so glad I chose WSMT over other schools. I feel very prepared to start my massage career!" "Instructors went above and beyond what I expected." "Alesia went above and beyond helping me work around my day job demands and on-call. I wouldn't have made it without her. I was glad I picked WSMT over others." "I feel ready to rock." "Loved every moment! (The school) went over and above my expectations." "I would recommend WSMT to prospective students who are looking for a more relaxed learning environment. Staff was friendly, (they) make students feel comfortable. The best part of school was the amazing clientele for clinics!" "Loved Robin, Alesia & Mary. You guys are the best. Thanks for being so supportive of me! "I thoroughly enjoyed my experience at WSMT! The instructors were all exceptional and gave me the tools I need to be successful in massage. I enjoyed the smaller class size and I felt I received the attention I needed to learn all I could. I would recommend WSMT to anyone interested in getting into massage. I couldn't have asked for a better school. Thank you WSMT! "The major positive (of WSMT:) smaller classes, great instructor-to-student interface." I loved my time at WSMT. I feel very confident going into the massage work world. I love and respect my teachers and all their hard work, guidance, and support. WSMT was one of the most positive learning and life experiences of my life. Thank you!" "The school exceeded my expectations and expanded my awareness of my physical, mental, and spiritual being - thank you! WSMT is awesome! "After my time at WSMT I feel ready to begin my career. The staff at WSMT is really nice, and truly wants to help the students learn. I would definitely recommend WSMT to anyone!" "All of the staff was very caring and never disappointed me. I got all of the information I wanted and more! I was very satisfied with the school, it exceeded my expectations; it's a very welcoming atmosphere and filled with great people." "I enjoyed my time here more than the first massage school I went to; the teachers were more thorough in explaining everything and demonstrating techniques." "I really feel like I got the best education here. Great environment, grew very close with classmates. I would recommend this school to anyone." "Everything was run very well and I was glad to be a part of it. Proud to say I'm a graduate of this school and I'll miss everyone!" "Was a great staff. Really felt cared for." "I really enjoyed coming to class each day. I am going to miss it! I learned a lot of great information and had a great time!" "I especially loved how all of the teachers were always helpful...my overall experience at WSMT has been wonderful. I am going to miss everyone and being out of school for so long I was nervous about going back, but everyone - teachers especially - have made everything so great." 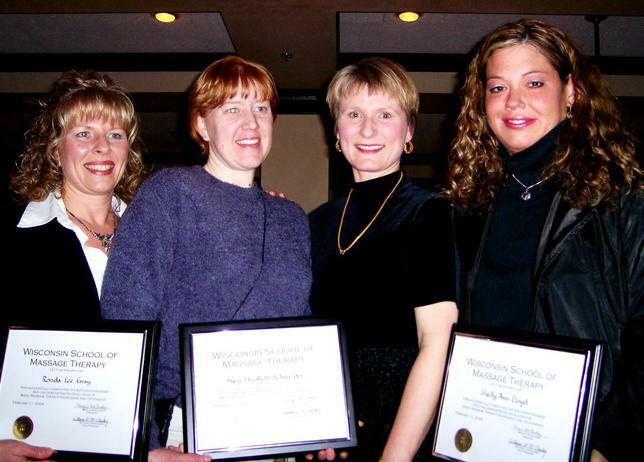 "I am sure my time at WSMT has provided me with the best education in the state of WI." "The staff and administration are excellent! I was blessed to find WSMT." "In a very short period of time I learned many different things. I am very satisfied with the curriculum. I will be ready to start my own business." "The program was way beyond my expectations. I am extremely satisfied with this school." "The program here at WSMT exceeded my expectations. It taught me so many more techniques than the other schools I looked at. The teachers here gave me more one-on-one time when I needed it. This is by far the best school in the state." "You've given me a solid foundation to build on." "I feel confident that I have the skills to go forward and offer the public (excellent massage work.) I can't wait! I think the smaller class size is a great benefit to my education in this field. I felt comfortable asking for help any time." "I really really like the small class size and the hands-on work right away. Everyone (teachers) was very knowledgeable." "I appreciate the excellent curriculum, covering many modalities (the mini-classes provided me with extensive options for later training.) I'm so blessed because another student from WSMT recommended your school." "My time at WSMT was well-spent, giving me excellent background and tools to begin a massage therapy career as well as forming a solid bond of friendship with classmates and teachers. I learned more about myself and my life than at any other school." "I will miss coming to school. I really did enjoy the whole experience. I can't say enough about Mary and the rest of the staff. I just feel like they're my friends and they never let me doubt myself. They are always supportive and caring. I will not have a problem spreading the good word about the school. I will feel very comfortable going back to the school with any questions or issues that arise in my career. Once again I'm so glad I chose WSMT. It was everything I could have imagined." "I really liked the small class size." "My classmates were fun to be around...awesome to be part of a small class - our class was very inquisitive and all the instructors were always willing to engage in conversation and answer our questions. Thanks for a great massage education. I'm glad I switched from ------- to WSMT! " "Great school. Loved the small class size and teacher attention. I feel very prepared and ready for all of the things massage may lead me to." Copyright © 2019 Wisconsin School of Massage Therapy. All rights reserved. "I enjoy interviewing students from WSMT. They always seem to truly love the industry and have a passion for helping others." "I absolutely enjoyed coming to class. This program went by too fast. I know I'll definitely be using the skills and knowledge I have grasped." "Excellent learning experience! When I first started school I would never would have thought I would be so close to my instructors and classmates." "This is one of the best schools I've ever attended. The courses are very well organized, very informative and always a lot of fun. I enjoyed every class - can't believe these last 10 months went by so fast." "Loved the casual atmosphere - we received all good support. 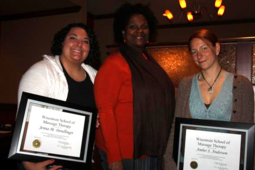 I have and will continue to recommend WSMT to prospective students." "I have enjoyed every minute. There hasn't been a time when I thought this or that could be done better. The school went above and beyond my expectations." "Alesia was amazing! And fun!" "(WSMT) exceeded my expectations. I didn't think I was going to have so much FUN learning abut the body! I really enjoyed my schooling and I learned a lot!" Lisa was wonderful. She made Anatomy & Physiology interesting. Do not change a thing. My time at WSMT was well-spent, very much so! I truly enjoyed the class and teachers. I loved having a smaller classroom setting where I had more access to instructors' information. "Every class had a clear purpose. I was treated with LOTS of respect and kindness by staff at WSMT! Thank you. I have already recommended WSMT to prospective students." "Being out of high school for 17 years, it was a bit scary and overwhelming to go back to school. (But) it was fantastic! (It was) not easy, but extremely well taught and now that we are done, I am super sad!! (WSMT) exceeded my expectations. I would not have been happy going anywhere else! This was meant to be and I could not be happier!" "There is no question to me that Mary, Robin, Lisa, and especially Alesia (our main instructor) cared about us on an individual basis! That means a lot! I was 100% satisfied with the school." "I'm so happy I chose WSMT! I cannot say enough positive things about the teachers and the program here. I love the small class sizes because we get so much one-on-one training and attention. School really can be fun!" "I liked how flexible they were with financing and schedule. They were very understanding about personal situations that came up throughout the year. Also all the teachers I had respected the value of family." "I learned more than I ever expected. The instructors were very thorough and patient. I am extremely satisfied with the school. I loved the small class size. I became very close with my classmates/instructors. I feel very prepared." "Whenever I'm looking to add to our staff, the first place I contact is WSMT. They are so helpful in providing great applicants and we've been so pleased with the quality of graduates they have provided." "WSMT helped me to open my eyes. I am glad I chose this school to grow spiritually and personally. Thank goodness for compassionate and caring instructors." "Just wanted to let you guys know that I passed the MBLEX (board exam) earlier today!!!!! I'm really excited to be moving forward and hopefully get a job soon. Thank you for everything. I owe a lot of this success to you and your school. I will probably be back some time for continuing ed classes. 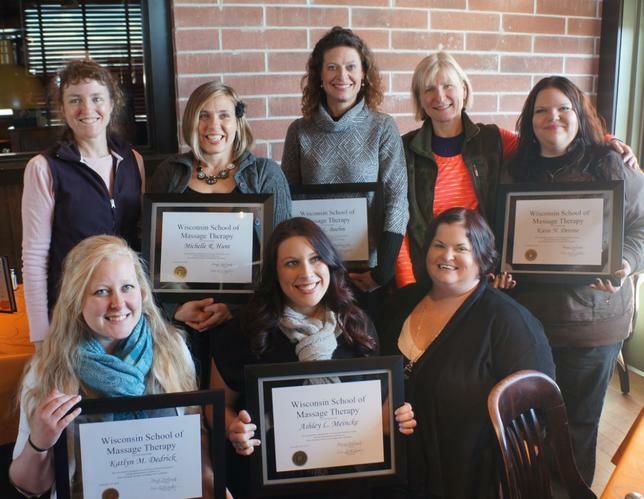 "I am always extremely impressed with the quality of the people who have graduated from your program, as well as their advanced knowledge of the field of massage therapy. We currently enjoy some of your graduates as an integral part of our current therapist team." "Everyone at WSMT works so hard to make the student's school experience and career ahead so good. They all help you when you need extra time or guidance. Thank you for everything, it means so much to me!" "The classes were great and made me want to know more. I absolutely have already recommended WSMT to other potential students!" "I love Lisa (A&P Teacher)! She is so smart and excellent at explaining things. Clinic was good, Robin did a good job making me feel comfortable and herself accessible for questions." 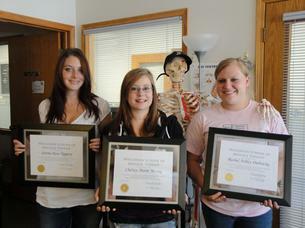 "WSMT's educational program did great. I really feel like I learned the best curriculum." "The staff are like family and they really help you to understand the science behind massage and they want you to be the best you can be at massage so you can fulfill a lifelong passion of helping others. I'm very sad to be leaving and yet happy. It feels like a family here and I will miss being here 2x a week yet I'm so excited to begin a new path in massage. "Love the small class size and the schedule - made it easy to have a job and life along with school." "WSMT is very accommodating and the teachers are always willing to help." "Love the small class size, great learning experience! I'm going to miss learning here." "I feel I have a good basic knowledge to build on. Body mechanics were stressed at WSMT and I think that will be key in a long/healthy career." "(This was) a wonderful experience. The staff was wonderful and I was treated with respect. All the teachers take their time until we understand what they are teaching. I felt great with my classmates." "I feel I will have a great start due to the knowledge that has been passed on to me and I can't wait to start continuing ed. classes. I would recommend this school to prospective students. I feel this school puts all its energy into making sure that all of us students get the most out of this school, and for this I thank you!" "I loved the one-on-one attention and the awesome knowledge I gained while here. I feel prepared and much more knowledgeable than I even expected." "I made the right choice coming here!" "The school is very well run and friendly." "I couldn't have picked a better school. Teachers were extremely knowledgeable and were always rooting us on. All staff were very understanding and respectful to all students, who were in different walks of life." "I have so enjoyed attending your massage school, WSMT. It is apparent, (Mary), the work you have put in to make sure we are getting exactly what we need when we need it! I do really appreciate the emphasis on body mechanics in the curriculum, and (I) wouldn't have wanted to learn any other way.